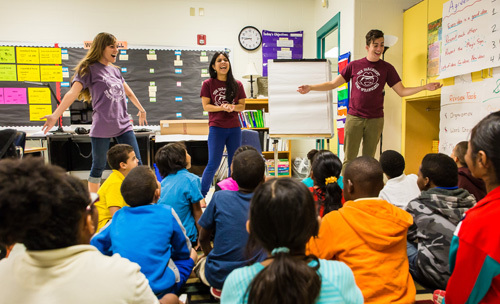 Paramount Education focuses on the youth of Central Texas, including active partnerships with more than 100 schools and 40 nonprofits throughout the region, serving around 22,000 children annually. 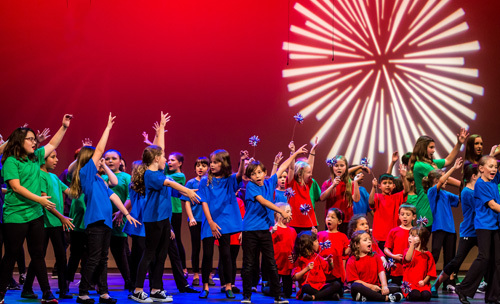 The Paramount and Stateside Theatres aim to integrate the arts across all curriculum, ensuring that we are raising creative, empathetic, literate and collaborative thinkers in all our schools. Paramount Education hosts amazing performing arts camps every summer. Last summer was amazing and we can't wait to see you all perform this summer! Registration begins in January each year. 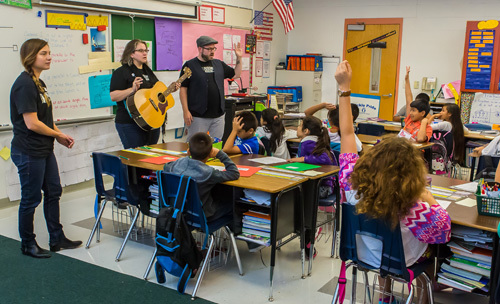 Our professional teaching artists, the Paramount Story Wranglers, go into classrooms to use creative writing, improvisation, and drama-based activities to improve students’ writing skills, confidence, creativity, and storytelling. 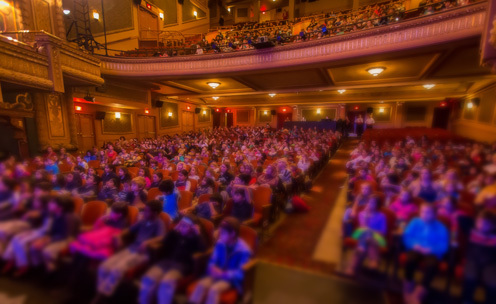 Each year, we bring over 15,000 students from all over Central Texas to attend a matinee at the historic Paramount Theatre, exposing them to world-class theatrical performances and introducing them to a vital piece of Austin’s cultural heritage. The Paramount is committed to continue bringing world-class theatre and puppetry for young audiences to Austin. 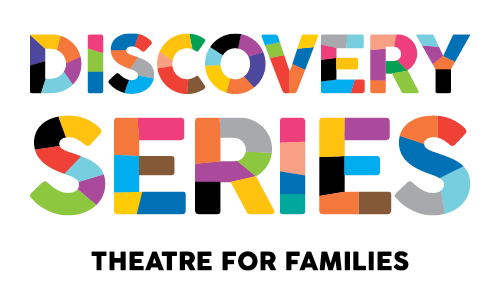 The Discovery Series has something for everyone in the family to love! Every ticket comes with an activity guide crafted to the show’s content. We serve over 1,000 children each year from over 40 nonprofit partner agencies by providing free tickets to our shows and films. We ensure the arts and artists are accessible to everyone, regardless of their income or background. We take teaching artists to the schools to conduct activities in drama, dance, music, and film technology that work to improve engagement with and retention of science, technology, engineering and math curricula.